Sandi began her 43 year career at the University of Wisconsin-Madison in 1972. Back then there were no computers …. Only typewriters! Through her career she has seen many changes, not only in desktop technology, but in services provided. With an exception of a short time at the College of Agriculture and Life Sciences, Sandi’s employment was pretty equally split between UW-System Administration Financial Services and the UW-Madison Division of Information Technology (DoIT) and its predecessor organization, Telecommunications. Sandi retired from DoIT as a business specialist (budget and policy analyst) in spring 2015. 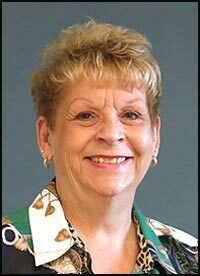 Following her retirement, Sandi became involved with the UW-Madison Retirement Association and was named as the third Executive Director of the association in 2017. Sandi has been involved with organizations that help advance college students and women by promoting personal development and career opportunities as well as advocating on their behalf. The two primary organizations Sandi has been involved with are the collegiate division of DECA, and the Business & Professional Women’s Foundation (BPW). Sandi served as the BPW State President, the National Bylaws Chair and as a two-term National Officer. Sandi has also served on the Board of Directors of the National Kidney Foundation of Wisconsin. In addition to organizational involvement, Sandi continues to put her art education to use by sewing, painting, doing calligraphy, crafting, and the list goes on. She and her husband Brent are the proud parents of a daughter who is married and have blessed them with two precious grandchildren.